Two home-grown startups in the retail space have added millions to their coffers from high-profile investors to expand their offerings. Sydney-based local shopping app, Booodl, says it will accelerate store growth and user acquisition after raising $2.85 million in additional funding, led by Westfield owners, Scentre Group. The startup has created a free consumer app and website to help consumers find physical retail stores that sell products they want. The offering is powered by geo-location and machine learning and already includes 15,000 stores across Australia and 1 million listed products. Booodl officially launched in Australia on 26 November thanks to a $5 million investment from backers James Packer, Square Peg Capital and Erica Baxter. Users can save preferred products to a list, then receive reminder notifications whenever they’re near a physical store that sells them. Other features include the ability to message stores via the app to confirm details, such as price and availability, and pre-purchase products from retailers that have enabled ‘pay and pickup’ capabilities. Booodl co-founder and CEO, George Freney, said the company’s mission is to make all stores visible to shoppers who want their products. “To achieve this, we’re in the process of building the most comprehensive and intelligence retail store directory out there, down to the category, brand and product level. It’s no small technical feat,” he said. Scentre Group CEO, Peter Allen, said connecting the physical retail store to nearby shoppers through technology was a logical area of investment for the retail mall owner. Read more ​Customer loyalty part 1: Do millennials make loyal customers? Booodl has already conducted a Sydney-based pilot program with seven local retail partners, including Aje, Muchacho, City Chic, Bondi Bather, Carousel Bondi and Minty Meets Munt, between April and November. During this time, it added 31,600 products to users’lists, sending 12,500 reminder notifications to nearby shoppers, and exchanging 6200 messages between stores and customers. 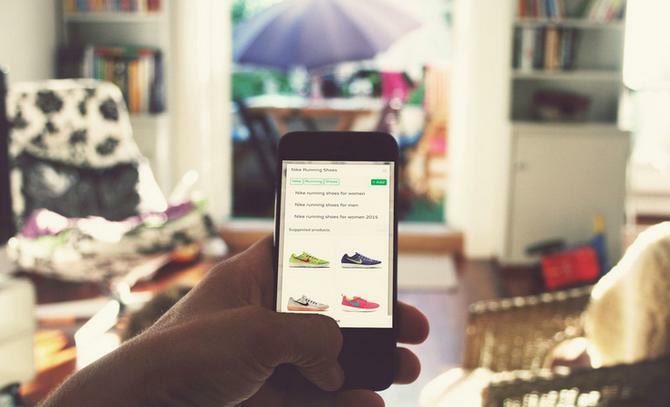 Fellow Australian startup, Shoes of Prey, also secured US$15.5 million this week as part of its Series B capital raising activities led by US retail giant, Nordstrom. The cash injection comes after the customisable shoe retailer rolled out physical design studios in six Nordstrom department stores and gives Nordstrom a 25 per cent equity stake in the business. According to Shoes of Prey, this is the first time ‘customisation’ as a consumer concept has received major funding from a non-traditional capital source. Shoes of Prey allows consumers to design their own shoes by choosing from combinations of style, heel height, material, colour, size and width. The funding will allow the LA-based Aussie startup to grow its omni-channel presence in the US and internationally, as well as scale up production capacity in its dedicated factory in China. Since its launch in 2009, the customisation service has been used to produce 5 million pairs of shoes. “We’re thrilled to have forward-thinking partners who believe in our mission to empower customers to shop without compromise,” said co-founder, Jodie Fox. Nordstrom executive VP and GMM shoes, Scott Meden, said Shoes of Prey offered the retailer a way to enhance and deliver great customer service experiences.